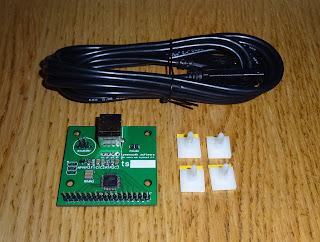 This is day 19 of the Advent Calendar of USB keyboards. Today, a BBC Micro USB keyboard kit. I always liked the feel and sound of the BBC keyboard, individual mechanical keyswitches make for a good keyboard. 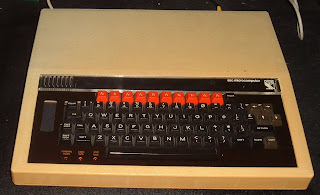 The BBC case is a bit large to use as just a keyboard, and I'd rather it had a BBC micro inside. A while ago I got a Viglen BBC micro case that was all cracked, but the separate keyboard box was intact. I made that into a USB keyboard. 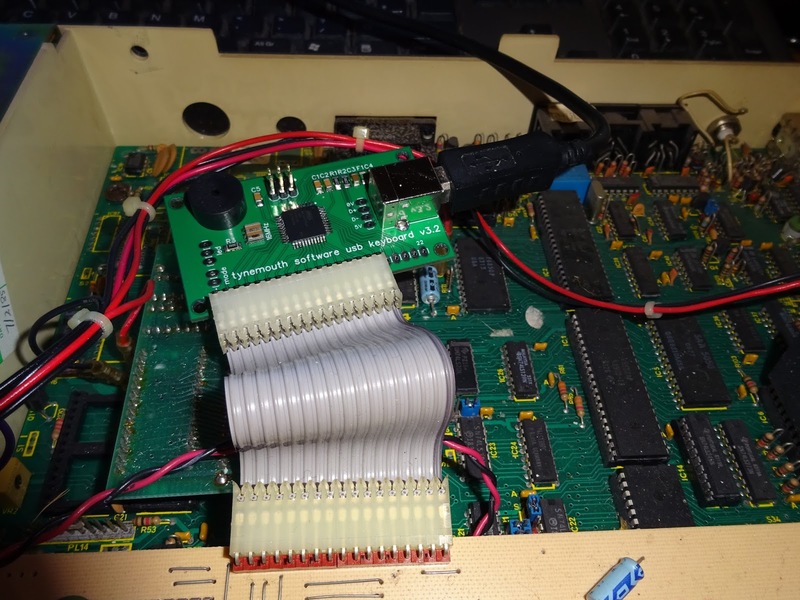 See the original article for more information on driving the unusual BBC Micro keyboard interface. 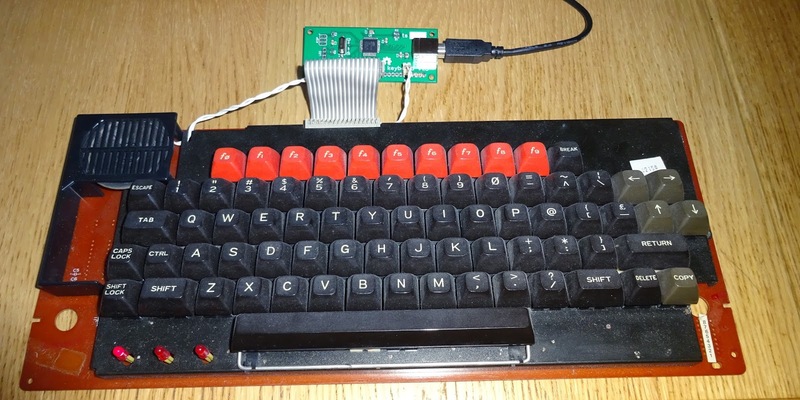 Since then I've had a few requests for BBC Micro USB keyboard kits, so here they are. 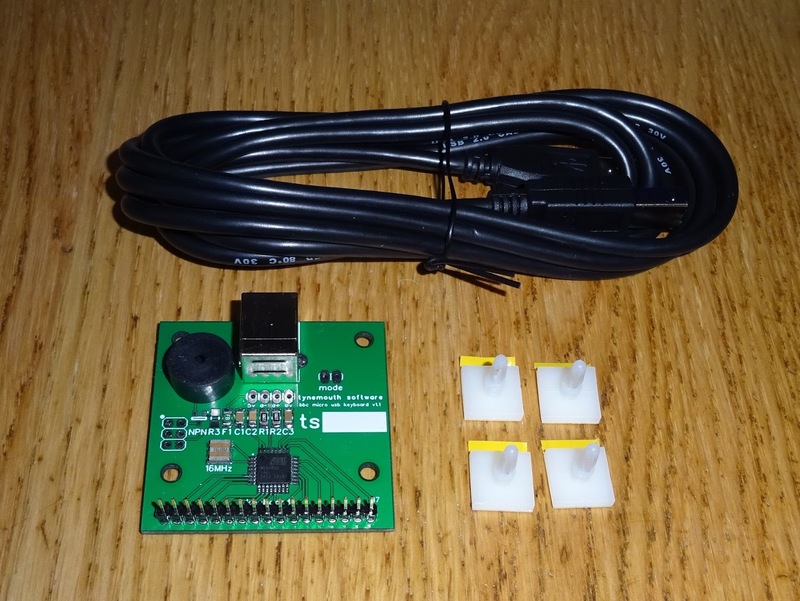 The kit contains the controller, mountings and a USB lead. 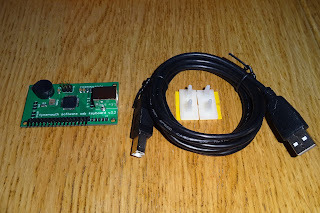 Please use responsibly. 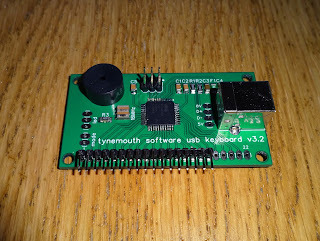 There is a piezo buzzer on there which makes the correct beeping sounds when the BBC micro USB keyboard is plugged in. 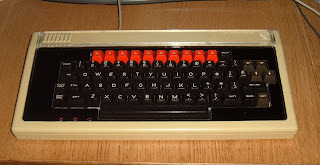 This is one of the keyboards with a moulded speaker mount. 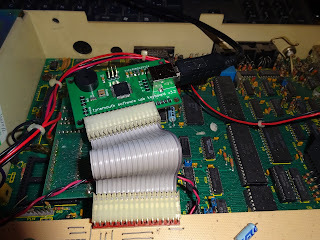 or with a a connector to drive the original speaker.